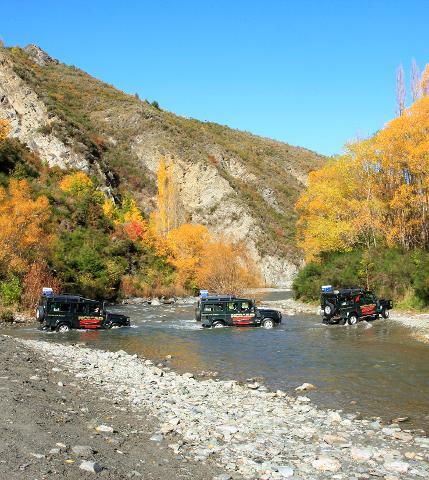 A true 4x4 off road adventure which explores the historic gold mining town of Macetown. Long since abandoned after the gold rush Macetown has now been transformed into a Department of Conservation reserve. 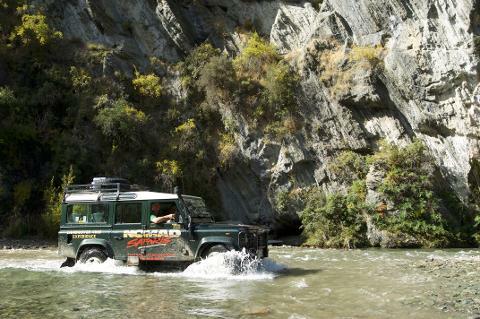 Ride the rugged road in the safety of our 4x4 that ensures excitement and adventure crossing the Arrow River some 25 times each way. Immerse yourself in the history of this precious region by panning for gold and letting our knowledgeable guides teach you about the hardship and exhilaration these miners faced. 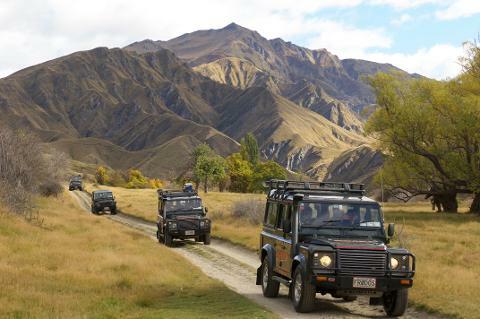 The Macetown 4WD tour departs from Queenstown heading out to Arrowtown. 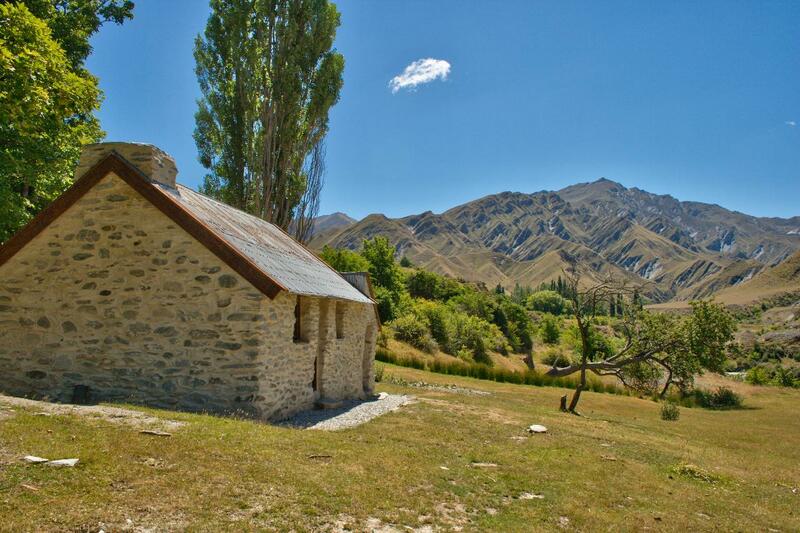 Once in Arrowtown you will be shown the historic Chinese Settlers Village and the filming location of the Ford of Bruinen in the Lord of the Rings. En route to Macetown you cross the Arrow River some 25 times before reaching Macetown. On the Macetown track you will pass through Soho Creek and Britannia Terrace. Both locations provide landmarks and insightful stories into the history of this interesting area. Upon arrival in Macetown you will be taken to the heritage site of Smith’s Bakehouse, which has recently been restored by the Department of Conservation. Explore the gold mining settlement and learn the history of Needham’s Cottage. Not far beyond Macetown is Anderson’s Battery. Learn about the only stamping battery with an iron frame in Otago. Leaving Anderson’s Battery you will start making your way back to Arrowtown along the Macetown Track. 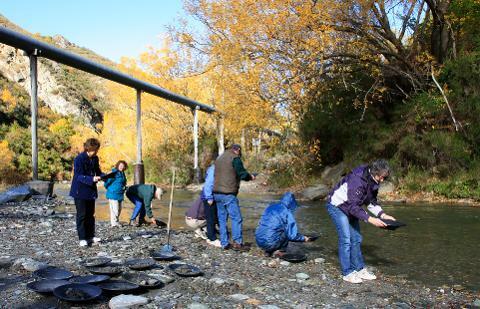 Try your hand at gold panning on the Arrow River as our guides teach you the techniques to pan for gold and feel the excitement that drew many people to this area. 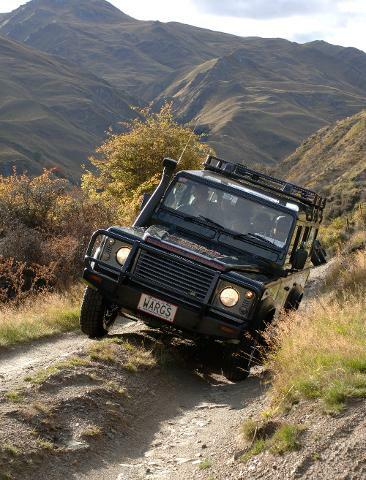 At Macetown experience true off road driving as our experienced guides show you what these 4x4s can do. But rest assured with one of the founding members of Tread Lightly! 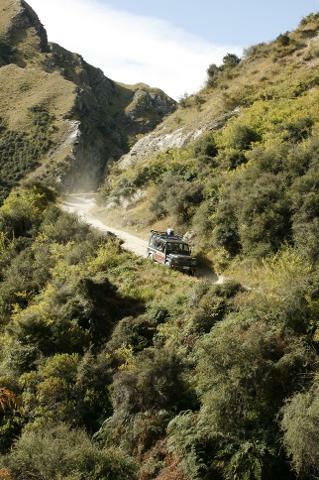 NZ you will be with one of the most responsible 4WD tours around. 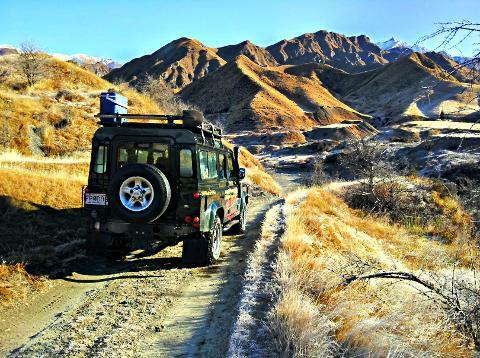 This off road adventure really puts the 4x4s through their paces making it so much more than other heritage tours.